Commercial property matters have little or nothing in common with domestic conveyancing transactions. The solicitor’s job on the purchase of residential property is mechanical and stereotyped. He seldom ‘adds any value’ to the transaction, the client gets the same property, with the same state registered title whatever solicitor he has used. Most of the work can be (and usually is) done by unqualified staff. Because domestic conveyancing transactions are stereotyped, the solicitor can give a ‘fixed price quote’ for doing the work, because the work involved is so formulaic. A commercial property transaction is radically different from a residential property one, particularly the grant of a lease. If the client has a good solicitor the client will always end up with a radically different lease from the one he would end up with if he used a less competent one. A Good Commercial Solicitor can add real value to the transaction by preventing the client ending up with a Bad Deal. We at Barney & Co. give our clients the best possible advice on a commercial property matter, so that the client gets the very best possible deal, fighting the client’s corner to get the necessary amendments to the documentation which are vital for a successful outcome. No two commercial lease transactions are the same. The amount of time we need to spend in order to protect the interests of the client can never be accurately predicted in advance. We can never know in advance how ‘difficult’ the landlord or his solicitors will be to deal with in getting the amendments which we believe are needed for your protection. That is why we cannot give a fixed price quote for our fees. If you get a fixed price quote for a transaction involving the grant of a commercial lease – beware! You are likely to get a less than satisfactory outcome. You may not find out until much later that it is going to cost you a lot of money. (For instance, you may be liable for repairs to the building which you had not expected or for excessive landlord’s service charges). Mr Barney acted for me when I sold my house in the Charente Maritime. He is professional, easy to contact, quick to respond and has an excellent knowledge of French property law. I would recommend him to anyone buying or selling property in France. 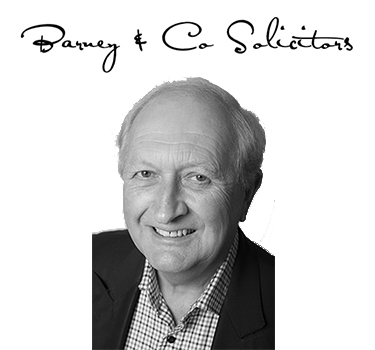 Call David Barney now on 01458 270296 or 07766095865 for a free discussion of your legal requirements. David is a UK based solicitor that specialises in French property and inheritance law. "My wife and I contacted David Barney in October 2017 as we wanted to sell a property in France, which had serious legal issues with regards to beneficiaries after a colleague’s death. We can confirm that David has been a great asset in fighting our corner and I would go as far as to say that David’s knowledge of French Property Law is probably more extensive than Notaires based in France. In our case, I am positive that if it had not been for David’s knowledge and know how, we probably would not have been able to proceed to a successful completion and sold the property. I would have no hesitation in strongly recommending that you contact David Barney in the event that you have a property in France that you may wish to sell or that you may be considering purchasing a property in France. He will provide you with all the information required and will give you every assistance in ensuring that you have the right advice in any proposed transaction." and David Barney will call you back for a free 20 minute consultation. Thank You. David will be in touch shortly.